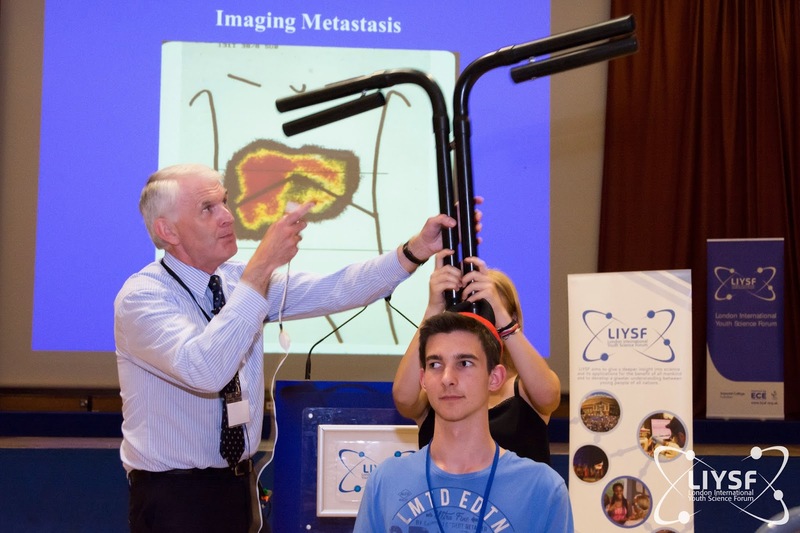 On 24th July 2014, Professor Richard O’Kennedy spoke to the participants of LIYSF 2014 in a Lecture-demonstration. He explained how we can exploit our knowledge of our immune system to help with early diagnosis of diseases such as Cancer and Cardiovascular diseases. Before looking at the immune system, Professor O’Kennedy stressed the importance of understanding Cancer itself – its types, properties and methods of diagnosis. An example that was used to explain the link between the immune system and diagnosis of the disease was a cancer known as Colorectal Carcinoma. It is the second most common cancer in men and women and can be diagnosed using a procedure known as Colonoscopy. However, colonoscopy is expensive; requires a long time to performed; and has less than 50% yield significant pathology. So it would be ideal to develop a tool that would help in determining the priority of patients’ treatments, so that a colonoscopy is only performed when it is required. Professor O’Kennedy also mentioned about cardiovascular diseases since there are many types of these, and are very difficult to diagnose since there is a high probability of making mistakes during diagnosis. Hence it would help to use some Biomarkers to diagnose cardiovascular diseases correctly. These a ‘biomarkers’ and tools to “triage” in the example above, can be found using our immune system. After looking at a brief history of vaccinations and understanding immunity, through some interactive demonstrations, the participants could understand how exactly the immune system could be used for diagnosis. For example, antibodies can be injected with a radioactive label to detect the location and spread of tumor cells using imaging. It was also fascinating to see how with the help of chemists, engineers and physicists, biologists were able to create an integrated microfluidic CD device and a microfluidic chip. These devices only require a drop of blood to see the presence of a certain disease using protein markers from our immune system. For example, a microfluidic chip can be used to give a yes/no to a colonoscopy to detect colon cancer. This will save both time and money. Furthermore, the students were also given an insight into synthesising antibodies using a cancer cell or from a chicken since their antibodies are more stable due to higher body temperature, which was really interesting. Finally, the implications of this research on next generation Biomedical Diagnostics was also explained. Through this lecture, it can be seen how science can be used to cure diseases which some years ago would seem like a death sentence, and through the interdisciplinary collaboration of scientists, anything is possible.